It might be possible to tell from looking at Facebook whether a relationship is going to last. 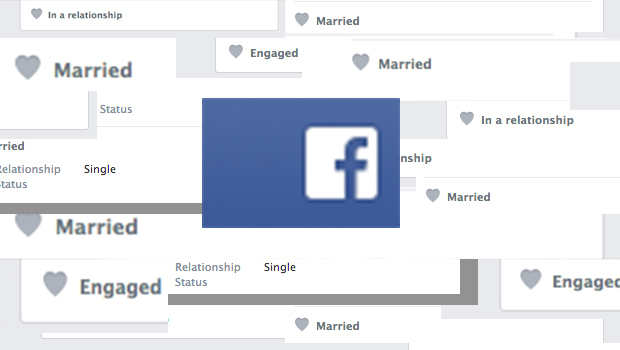 And, researchers say, clues on Facebook may reveal whom you're dating even if you don't broadcast your relationship status. In a recent study, Lars Backstrom, a senior engineer at Facebook, and Jon Kleinberg, a computer scientist at Cornell University, started off with the question: "given all the connections among a person's friends, can you recognize his or her romantic partners from the network structure alone?" To determine the connection and potential romantic links, the researchers created a new measurement that they call "dispersion." They define dispersion as "the extent to which two people's mutual friends are not themselves well-connected." Previous studies have focused on embeddedness, a more simple measurement that looks at number of mutual friends two people share. In the first year of a relationship, combining dispersion and profile viewing time leads to more accurate partner predictions. When the algorithm returned the wrong name as the "significant other" it was usually thrown off by a family member. This makes sense, as many siblings of similar age will be friends with each other's friends, co-workers and other connections, though they may not personally know all of those people's friends. And in those cases when it couldn't figure out the correct partner, an interesting pattern emerged: a couple who can't be identified through dispersion score is significantly more likely to break up -- at least, on Facebook -- within 60 days.